There's a hashtag named ‪#‎DarwinMyths‬ going around on Twitter. Here are a few that I made up. Except that they aren't myths, of course. 1. Darwin who was a failed doctor originally planned to write a book titled "The Origin of Sepsis" to make up for his medical school failures. 2. A little known fact about Darwin: He had multiple personality disorder. The other personality's name? Alfred Russell Wallace. 3. Fun fact: The original phrase in the first edition of "The Origin of Species"was "Endless worms, most beautiful". 4. Contrary to popular belief, the main reason why Darwin used to take hot baths in sanitariums was to play with his rubber ducky. 6. The story goes that Darwin once spied two attractive beetles and then spied another one which he could not bear to lose, so he simply put one of the first two in his mouth so he could catch the third one. The story is actually about madeleines, not beetles. The gluttonous Darwin later asked biographers (one of whom had titled his version "The Last Madeleine") to change that minor detail. 7. Contrary to popular belief, Darwin conned his way on to the "HMS Beagle" not by pretending to be a "gentleman scientist" but by pretending to be part of a dance troupe that was supposed to keep Captain FitzRoy entertained on the long and lonely voyage. Presumably his performances were so forgettable that he could easily transition into his other role without arousing FitzRoy's fury, or attention for that matter. The future - not in our stars but in our genes: A review of Siddhartha Mukherjee's "The Gene: An Intimate History"
The volume benefits from Mukherjee’s elegant literary style, novelist’s eye for character sketches and expansive feel for human history. While there is ample explanation of the science, the focus is really on the brilliant human beings who made it all possible. The author’s own troubling family history of mental illness serves as a backdrop and keeps on rearing its head like a looming, unresolved question. The story begins with a trip to an asylum to see his troubled cousin; two of his uncles have also suffered from various "unravelings of the mind". This burden of personal inheritance sets the stage for many of the questions about nature, nurture and destiny asked in the pages that follow. The book can roughly be divided into two parts. The first part is a sweeping and vivid history of genetics. The second half is a meditation on what studying the gene means for human biology and medicine. The account is more or less chronological and this approach naturally serves the historical portion well. Mukherjee does a commendable job shedding light on the signal historical achievements of the men and women who deciphered the secret of life. Kicking off from the Greeks’ nebulous but intriguing ideas on heredity, the book settles on the genetics pioneer Gregor Mendel. Mendel was an abbot in a little known town in Central Europe whose pioneering experiments on pea plants provided the first window into the gene and evolution. He discovered that discrete traits could be transmitted in statistically predictable ways from one generation to next. Darwin came tantalizingly close to discovering Mendel’s ideas (the two were contemporaries), but inheritance was one of the few things he got wrong. Instead, a triumvirate of scientists rediscovered Mendel’s work almost thirty years after his death and spread the word far and wide. Mendel’s work shows us that genius can emerge from the most unlikely quarters; one wonders how rapidly his work might have been disseminated had the Internet been around. The baton of the gene was next picked up by Francis Galton, Darwin’s cousin. Galton was the father of eugenics. Eugenics has now acquired a bad reputation, but Galton was a polymath who made important contributions to science by introducing statistics and measurements in the study of genetic differences. Many of the early eugenicists subscribed to the racial theories that were common in those days; many of them were well intended if patronizing, seeking to ‘improve the weak’, but they did not see the ominous slippery slope which they were on. Sadly their ideas fed into the unfortunate history of eugenics in America and Europe. Eugenics was enthusiastically supported in the United States; Mukherjee discusses the infamous Supreme Court case in which Oliver Wendell Holmes sanctioned the forced sterilization of an unfortunate woman named Carrie Buck by proclaiming, “Three generations of imbeciles are enough”. Another misuse of genetics was by Trofim Lysenko who tried to use Lamarck’s theories of acquired characteristics in doomed agricultural campaigns in Stalinist Russia; as an absurd example, he tried to “re educate” wheat using “shock therapy”. The horrific racial depredations of the Nazis which the narrative documents in some detail of course “put the ultimate mark of shame” on eugenics. The book then moves on to Thomas Hunt Morgan’s very important experiments on fruit flies. Morgan and his colleagues found a potent tool to study gene propagation in naturally occurring mutations. Mutations in specific genes (for instance ones causing changes in eye color) allowed them to track the flow of genetic material through several generations. Not only did they make the crucial discovery that genes lie on chromosomes, but they also discovered that genes could be inherited (and also segregated) in groups rather than by themselves. Mukherjee also has an eye for historical detail; for example, right at the time that Morgan was experimenting on flies, Russia was experimenting with a bloody revolution. This coincidence gives Mukherjee an opening to discuss hemophilia in the Russian royal family – a genetically inherited disease. A parallel discussion talks about the fusion of Darwin's and Mendel’s ideas by Ronald Fisher, Theodosius Dobzhansky and others into a modern theory of genetics supported by statistical reasoning in the 40s – what’s called the Modern Synthesis. 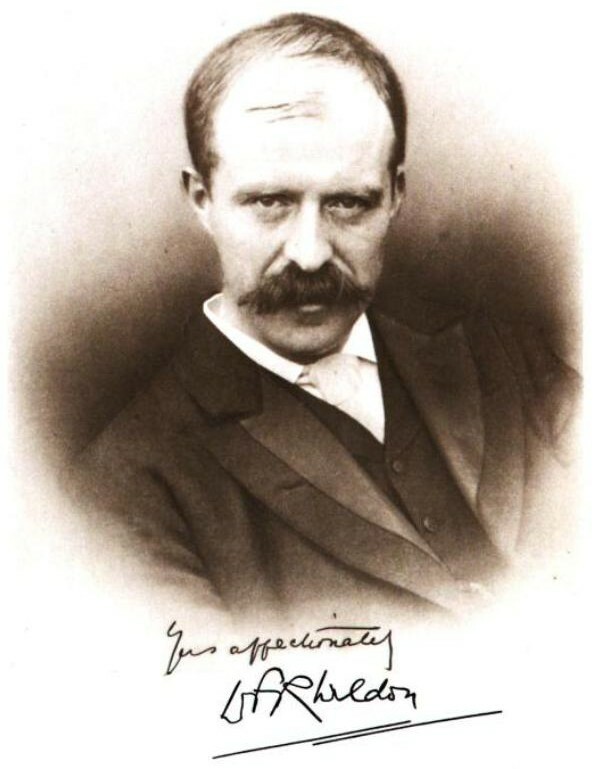 Morgan and others’ work paved the way to recognizing that the gene is not just some abstract, ether-like ghost which transmits itself into the next generation but a material entity. That material entity was called DNA. The scientists most important for recognizing this fact were Frederick Griffiths and Oswald Avery and Mukherjee tells their story well; however I would have appreciated a fuller account of Friedrich Miescher who discovered DNA in pus bandages from soldiers. Griffiths showed that DNA can be responsible for converting non-virulent bacteria to virulent ones; Avery showed that it is a distinct molecule separate from protein (a lot of people believed that proteins with their functional significance were the hereditary material). All these events set the stage for the golden age of molecular biology, the deciphering of the structure of DNA by James Watson (to whom the quote in the title is attributed), Francis Crick, Rosalind Franklin and others. Many of these pioneers were inspired by a little book by physicist Erwin Schrodinger which argued that the gene could be understood using precise principles of physics and chemistry; his arguments turned biology into a reductionist science. Mukherjee’s account of this seminal discovery is crisp and vivid. He documents Franklin’s struggles and unfair treatment as well as Watson and Crick’s do-what-it-takes attitude to use all possible information to crack the DNA puzzle. As a woman in a man’s establishment Franklin was in turn patronized and sidelined, but unlike Watson and Crick she was averse to building models and applying the principles of chemistry to the problem, two traits that were key to the duo’s success. The structure of DNA of course inaugurated one of the most sparkling periods in the history of intellectual thought since it immediately suggested an exact mechanism for copying the hereditary material as well as a link between DNA and proteins which are the workhorses of life. The major thread following from DNA to protein was the cracking of the genetic code which specifies a correspondence between nucleotides on a gene and the amino acids of a protein: the guiding philosophers in this effort were Francis Crick and Sydney Brenner. A parallel thread follows the crucial work of the French biologists Francois Jacob and Jacques Monod - both of whom had fought in the French resistance during World War 2 - in establishing the mechanism of gene regulation. All these developments laid the foundation for our modern era of genetic engineering. The book devotes a great deal of space to this foundation and does so with verve and authority. It talks about early efforts to sequence the gene at Harvard and Cambridge and describes the founding of Genentech, the first company to exploit the new technology which pioneered many uses of genes for producing drugs and hormones: much of this important work was done with phages, viruses which infect bacteria. There is also an important foray into using genetics to understand embryology and human development, a topic with ponderous implications for our future. With the new technology also came new moral issues, as exemplified by the 1975 Asilomar conference which tried to hammer out agreements for the responsible use of genetic engineering. I am glad Mukherjee emphasizes these events, since their importance is only going to grow as genetic technology becomes more widespread and accessible. These early efforts exploded on to the stage when the Human Genome Project (HGP) was announced, and that’s where the first part of the book roughly ends. Beginning with the HGP, the second part mainly focuses on the medical history and implications of the gene. Mukherjee’s discussion of the HGP focuses mainly on the rivalries between the scientists and the competing efforts led by Francis Collins of the NIH and Craig Venter, the maverick scientist who broke off and started his own company. This discussion is somewhat brief but it culminates in the announcement of the map of the human genome at the White House in 2000. It is clear now that this “map” was no more than a listing of components; we still have to understand what the components mean. Part of that lake of ignorance was revealed by the discovery of so-called ‘epigenetic’ elements that modify not the basic sequence of DNA but the way it’s expressed. Epigenetics is an as yet ill-understood mix of gene and environment which the book describes in some detail. It’s worth noting that Mukherjee’s discussion of epigenetics has faced some criticism lately, especially based on his article on the topic in the New Yorker. The book then talks about early successes in correlating genes with illness that came with the advent of the human genome and epigenome; genetics has been very useful in finding determinants and drugs for diseases like sickle cell anemia, childhood leukemia, breast cancer and cystic fibrosis. Mukherjee especially has an excellent account of Nancy Wexler, the discoverer of the gene causing Huntington’s disease, whose search for its origins led her to families stricken with the malady in remote parts of Venezuela. While such diseases have clear genetic determinants, as Mukherjee expounds upon at length, genetic causes for diseases like cancer, diabetes and especially the mental illness which plagues members of the author’s family are woefully ill-understood, largely because they are multifactorial and suffer from weakly correlated markers. We have a long way to go before the majority of human diseases can be treated using gene-based treatment. In its latter half the book also describes attempts to link genes to homosexuality, race, IQ, temperament and gender identity. The basic verdict is that while there is undoubtedly a genetic component to all these factors, the complex interplay between genes and environment means that it’s very difficult currently to tease apart influences from the two. More research is clearly needed. 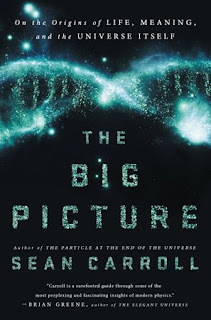 The last part of the book focuses on some cutting edge research on genetics that’s uncovering both potent tools for precise gene engineering as well as deep insights into human evolution. A notable section of the book is devoted to the recent discovery that Neanderthals and humans most likely interbred. Transgenic organisms, stem cells and gene therapy also get a healthy review, and the author talks about successes and failures in these areas (an account of a gene therapy trial gone wrong is poignant and rattling) as well as ethical and political questions which they raise. Finally, a new technology called CRISPR which has taken the world of science by storm gets an honorary mention: by promising to edit and propagate genes with unprecedented precision - even in the germ line - CRISPR has resurrected all the angels and demons from the history of genetics. What we decide about technologies like CRISPR today will impact what our children do tomorrow. The clock is ticking. In a project as ambitious as this there are bound to be a few gaps. Some of the gaps left me a bit befuddled though. There are a few minor scientific infelicities: for instance Linus Pauling’s structure of DNA was not really flawed because of a lack of magnesium ions but mainly because it sported a form of the phosphate groups that wouldn’t exist at the marginally alkaline pH of the human body. The book’s treatment of the genetic code leaves out some key exciting moments, such as when a scientific bombshell from biochemist Marshall Nirenberg disrupted a major meeting in the former Soviet Union. I also kept wondering how any discussion of DNA’s history could omit the famous Meselson-Stahl experiment; this experiment which very elegantly illuminated the central feature of DNA replication has been called “the most beautiful experiment in biology”. Similarly I could see no mention of Barbara McClintock whose experiments on ‘jumping genes’ were critical in understanding how genes can be turned on and off. I was also surprised to find few details on a technique called PCR without which modern genetic research would be virtually impossible: both PCR and its inventor Kary Mullis have a colorful history that would have been worth including. Similarly, details of cutting-edge sequencing techniques which have outpaced Moore’s Law are also largely omitted. I understand that a 600 page history cannot include every single scientific detail, but some of these omissions seem to me to be too important to be left out. More broadly, there is no discussion of the pros and cons of using DNA to convict criminals: that would have made for a compelling human interest story. Nor is there much exploration of using gene sequences to illuminate the ‘tree of life’ which Darwin tantalizingly pulled the veil back on: in general I would have appreciated a bigger discussion of how DNA connects us to all living creatures. There are likewise no accounts of some of the fascinating applications of DNA in archaeological investigations. Finally, and this is not his fault, the author suffers from the natural disadvantage of not being able to interview many of the pioneers of molecular biology since they aren’t around any more (fortunately, Horace Freeland Judson’s superb “The Eighth Day of Creation” fills this gap: Judson got to interview almost every one of them for his book). This makes his account of science sound a bit more linear than the messy, human process that it is. The volume ends by contemplating some philosophical questions: What are the moral and societal implications of being able to engineer genomes even in the fetal stage? How do we control the evils to which genetic technology can be put? What is natural and what isn’t in the age of the artificial gene? How do we balance the relentless, almost inevitable pace of science with the human quest for responsible conduct, dignity and equality? Mukherjee leaves us with a picture of these questions as well as one of his family and their shared burden of mental illness: a mirage searching for realization, a sea of questions looking for a tiny boat filled with answers. 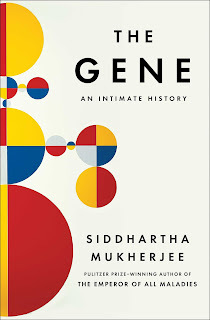 Overall I found “The Gene: An Intimate History” to be beautifully written with a literary flair, and in spite of the omissions, the parts of genetic history and medicine which it does discuss are important and instructive. Its human stories are poignant, its lessons for the future pregnant with pitfalls and possibilities. Its sweeping profile of life’s innermost secrets could not help but remind me of a Japanese proverb quoted by physicist Richard Feynman: “To every man is given the key to the gates of heaven. 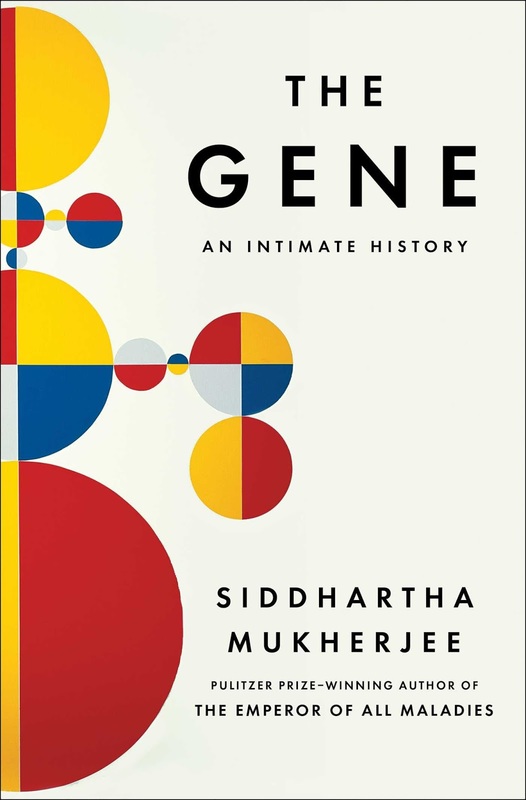 The same key opens the gates of hell.” The gene is the ultimate key of this kind, and Mukherjee’s book explores its fine contours in all their glory and tragedy. We have a choice in deciding which of these contours we want to follow. The NYT has an interesting article on the Warburg Effect and how it can be used to provide a new weapon in the treatment of cancer (the article is part of a larger series on cancer in the weekend magazine). 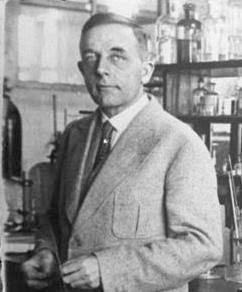 The effect which is named after the Nobel Prize winning German biochemist Otto Warburg pertains to the fact that tumors can grow by disproportionately consuming glucose from their environment. More specifically it deals with anaerobic respiration in tumor cells which allow them to persist even in the absence of oxygen. This is clearly a mechanism that could be potentially targeted in cancer therapy, for example by blocking glucose transporters. But more generally it speaks to the growing importance of metabolism in cancer treatment. It seems to me that since the 1970s or so, partly because of discoveries regarding oncogenes like Ras and Src and partly because of the explosive growth in sequencing and genomics, genetics has become front and center in cancer research. This is a great thing but it's not without its pitfalls. In the race to decode the genetic basis of cancer, one gets the feeling that the study of cancer metabolism has fallen a bit by the wayside and is now being resurrected. In some sense this almost harkens back to an older period when cancer was conjectured to be caused by environmental factors affecting metabolism. It's gratifying therefore that things like the Warburg Effect are being recognized. As the article points out, one of the simple reasons is because while many (frighteningly many in fact) genes might be mutated in cancer, a cancer cell usually has only a few ways to get energy from its surroundings: the range of targets is thus potentially fewer when it comes to energy. The recognition of this effect also speaks to the commonsense view that we should have a multipronged approach toward cancer therapy: genetics, metabolism and everything in between. Judah Folkman's idea of starving off a cancer cells's blood supply is another approach, what we may call a 'mechanical' approach (all of cancer surgery is a mechanical approach, in fact). I could not help but also note the interesting coincidence that this tussle between emphasizing genetics vs metabolism has played out in another area which seems quite far removed from cancer medicine: the origin of life. For the longest time people focused on how DNA and RNA could have been formed on the primordial earth. It's only about 20 years ago or so that "metabolism first" started getting emphasized too: this approach emphasized the all important role that the evolution of life's energy generating apparatus (in the form of proton gradients and ATP) played in getting life jumpstarted. The metabolism first viewpoint really took off with the discovery of deep sea hydrothermal vents which can generate primitive energy-creating biochemical cycles based on proton gradients, alkaline environments and diffusion through tiny pores in the vents. Biochemists like Nick Lane and Mike Russell have been pioneers in this area. The renewed focus on metabolism in treating cancer as well as in exploring the most primeval characteristics of life seems to me to bring the study of life in both health and disease full circle. Just like you cannot discuss the genetics of life's origins without discussing life's source of energy, so can you also not disrupt cancer's spread by disabling its genes without disabling its source of energy. Both are important, and emphasizing one over the other seems mainly to be a function of research fads and fashions rather than objective scientific reasoning. As an amusing aside, the father of a very close friend of mine knew Otto Warburg quite well when he worked in Vienna in the 50s. Here's what he had to say about Warburg's scrupulous lab protocols: "One story I've always remembered was that he would clean his own glassware, used in experiments. He didn't trust any low-level dishwasher or junior staff around the lab. He wanted to make sure everything was perfect. I can confirm that even a tiny 'foreign fragment' in glassware can wreck an experiment." Harry Kroto who sadly passed away yesterday at 76 co-discovered fullerenes and was a passionate communicator of science. After he got the Nobel Prize, he devoted all his time to spreading the excitement of science in developing countries. Among other things he started the Vega Science Trust website which features interviews with and lectures by many famous scientists, from Feynman to Sanger. When I visit my favorite restaurant for lunch or dinner, I usually order a legitimate food item from the main course. But once in a while, just to indulge, I order a sample platter of appetizers. The appetizers don’t always provide the deep satisfaction that I get from eating a proper, expensive food item. But they provide me with a different kind of unique satisfaction; they give me a glimpse of what’s new, what’s possible. They provide a view of the diversity that can emerge in a plate of bite-sized chunks. And through their frequent novelty, they give me hope that there are new possibilities on the horizon. These appetizers constitute occasional but necessary fodder. Sir Harold Kroto’s talk was one of the most satisfying platter of appetizers I have sampled, and I had not even ordered it. 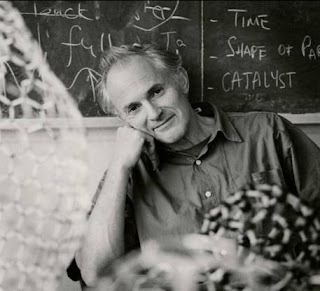 Harry Kroto exemplifies the British intellectual tradition at its best. He has three passions; science, education and humanism. And in a wonderfully entertaining talk filled with animation, quotes, videos and wit, he exemplified all three qualities. And of course no talk is ever really interesting without being a little provocative, so there was plenty of that too. Kroto shared the Nobel Prize in 1996 for discovering a chemical structure that has become a cornerstone of our scientific imagination in the same way that DNA has. The fullerenes that he, Robert Curl and Richard Smalley discovered have symbolized scientific discovery. The myriad odd structures emerging from these structures including carbon nanotubes give us the hope of novel technologies in engineering and medicine. Since his discovery of buckyballs in 1985, Kroto has turned toward other endeavors. He has strived to make his beloved science accessible to those who would most benefit from it, namely children around the world. To do this he travels all over the world and organizes local groups in developing and developed countries who teach children about science. Kroto believes that science should always be presented in an attractive way for it to become truly appealing. To this end his talk reflected this style. Each of the slides was highly pictorial, filled with rapid animation, videos and quotes, exactly the dose of inspiration and fun that a roomful of 500 excited science students and young researchers needed. The talk began with an exposition of “chemistry in 30 seconds”. It must have been a module that Kroto and his team designed for students; starting from simple numbers and figures Kroto derived the periodic table on the screen. The next few slides explored molecular flexibility, an important consideration which is paramount in the biological activity of drugs for instance. Kroto’s own speciality- microwave spectroscopy- examines this phenomenon and was key in the discovery of fullerenes. Kroto’s story is the quintessential story of serendipitous scientific discovery. His real interest was the study of molecules found in outer space. One day during this exploration he and his team accidentally discovered a peak in their spectrum, something that they were not looking for. Today a PhD. advisor may severely reprimand a graduate student if he tries to assign a chemical structure to a single signal in a complex spectrum. But Kroto and independently Smalley and Curl investigated this anomaly. As they say, the trick in science consists of seeing what everyone sees, and thinking of what nobody thinks. The rest is history, although Donald Huffman and Wolfgang Krätschmer had to synthesize fullerene in measurable quantities to meticulously characterize it. After encapsulating chemistry in 30 seconds, Kroto moved on to the topic of science education. Some of the brightest children in the world are the most pressed for access to scientific knowledge. As I write this and look at the young scientists and bloggers around me, I ask myself, “What if we had been born in Somalia, or the DRC, or El Salvador, or a tiny village in China or India?”. We each have to realize that most of us are privileged in doing what we do not just because of our own intrinsic capabilities of learning but because of fortunate circumstances, educated parents and plain old good luck. We should continue to remember that there are kids brighter than us, kids who potentially could make Nobel Prize winning contributions, who don’t have the tiniest chance to climb the ladder of education. We owe it to ourselves to make sure if we can, to invest a tiny amount of effort in our own way to educate those who have not been fortunate to educate themselves. To achieve this, Kroto has started the Vega Science Trust which seeks to communicate the value of science and common sense thinking to children in poor countries. In this respect Kroto is not a general who dictates from the sidelines. He is a foot soldier who is out there in the field. Photographic evidence of this fact came from several photos of Kroto teaching science to children in Mexico, Florida, China and Africa. The children were wearing t-shirts that were proudly emblazoned with fullerenes. The teaching of science extended to the spiritual; “fullerene meditation” in which children balance fullerenes on their heads while adopting a state of quiet contemplation. Kroto also emphasized the importance of the three bastions of modern information access, Google, Wikipedia and Youtube. All three constitute important forms of information access for millions of people in the future. Especially Wikipedia is a tremendous example of the remarkable wealth of high-quality knowledge and intense interest that individuals have in contributing to it. The Vega Science Trust also has a really great website which has free access to interviews with Nobel Prize winners and other scientists, lectures by famous scientists (including a fantastic set of four one-hour lectures by Richard Feynman) and many other science resources. I have listened to several of the interviews and talks on this site and they do an admirable job of inspiring young people to study science. 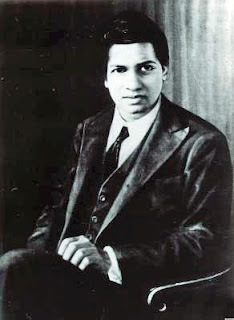 However, educating children is not just educating them about science, because science itself is not simply about facts but about a process of constant questioning and revision. Sir Harold’s third passion, humanism, firmly rests on the pillars of open criticism and inquiry that exemplify science. Humanism is not necessarily a rejection of religion, but it is an active and relentless emphasis on critical thinking, equality and skeptical thought. Here is where the talk became provocative because when you start talking about impediments to learning you inevitably have to mention religion. The science-religion controversy is so widespread that you think that everything possible that one can say about it has been said. However Kroto focused on some key aspects. He was categorically clear that children should not be indoctrinated with their parents’ religion and taught that that is the only “right” one. Kroto has spent more than a decade teaching children to be inquisitive, critical and open-minded. Religious indoctrination of children will undo much of what he has been trying to do. But for Kroto the issue goes much further. Religious indoctrination is part of many different environments that the child inhabits. To make his point Kroto showed pictures from the odious creation “museum” in Kentucky, with saddled dinosaurs and with children shown the “evolution” of the earth over the past 6000 years. Even religious moderates should find this spectacle ridiculous. Richard Dawkins has called parents bringing up their children in their own religious tradition as engaging in “child abuse”. While one might debate the merits of such a strong statement, there is no doubt that parents of all stripes must teach their children the value of open exchange and critical thinking. But why? Why constantly stress the value of scientific thinking? Because otherwise our future generation would not be able to make the contributions that scientists at Lindau have made, and they would not be able to reap the benefits of these discoveries. The current flood of students at Lindau might well dwindle down to a trickle. We depend so intimately on continuous scientific discovery that we largely take it for granted. Too much of the science-religion debate ignores the simple fact that science has led to an enormous reduction in the amount of suffering in our world. As just two examples, Kroto quoted the discovery of anesthetics and penicillin, two discoveries which were watersheds in the amelioration of human disease and suffering. Whatever the positive and negative qualities of religion, the positive qualities of science should be apparent to any person. And it is only through the constant application of critical thinking and healthy skepticism that we have bequeathed the fruits of scientific wisdom. Thinking about critical thinking and a balanced outlook takes us to the last point that Kroto discussed, and that was the absolutely crucial need for sustainable development. The same rational thinking that has led us away from superstition should also lead us to realize the grave danger that our activities pose to our planet, and the urgent need for prompt and cogent action. If we don’t take care of our planet, we would not be able to take care of ourselves and nothing would matter then; not fullerenes, not education and not the science-religion debate. All that would matter would be the throes of a helpless species which could not prevent its own destruction. For a species which has sequenced its own language of life, sent men to the moon, plumbed the depths of its planet and defied nature by extending its own survival and life-span by leaps and bounds, we owe ourselves more than that. Albert Einstein once said that “all of science measured against reality is primitive and childlike- and yet it is the most precious thing we have”. This is another profound realization that is frequently lost in the science-religion debate; that science makes no claim to ultimate truths (notwithstanding the utmost self-confidence that some of its practitioners may exhibit) but it has been supremely useful in gradually helping us know and get rid of our biases; as Niels Bohr said, the rather unpretentious goal of science is the gradual removal of our prejudices. To this extent science should be the epitome of modesty. We should be humbled and reminded of our own tiny little space in the universe whenever our eyes stretch across the vast milky way or whenever we view the sheer diversity of the species that populate a rain forest and recognize the deep and intimate relationship we share with these creatures. At the same time we should feel supremely privileged that science, with the simplest of lessons, has allowed us to transcend our dreams in ways that have been possible for no other species on our planet. 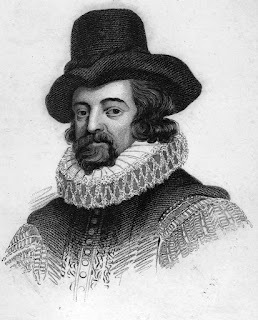 Science is not perfect, but the values of open-mindedness and skepticism that it has taught us have not only allowed us to make the world a better place through practical discoveries, but have also engendered the most basic elements of humanity, including a respect for free and open minds that is independent of nationality, gender, race and language. The Lindau meeting proves that science transcends every kind of barrier like no other endeavor. This rare realization, this most unifying of paradigms, is indeed a thing of limitless value. The most precious thing that we have.